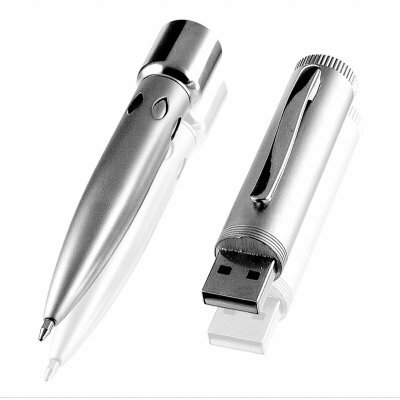 Successfully Added USB Disk Pen 512MB - Solid Metal Body to your Shopping Cart. Great looking 512MB pen drive that actually is a working pen. Carry your important data anywhere you go with this businesslike metal pen. Simply unscrew the body to reveal the USB connector and plug into your PC or other USB ports. Easy to refill with ink, and super convenient for transporting digital files around, this is a great item for anyone looking to combine old technology with new.